2. Anti-slip: Our tablecloths is anti-slip and wears resistant, keep tableware in place when in use. 4. Reduce noise: Never again hear the annoying scraping sound of tableware being pushed against the table, our tablecloths helps reduce noise from everyday use. 8. 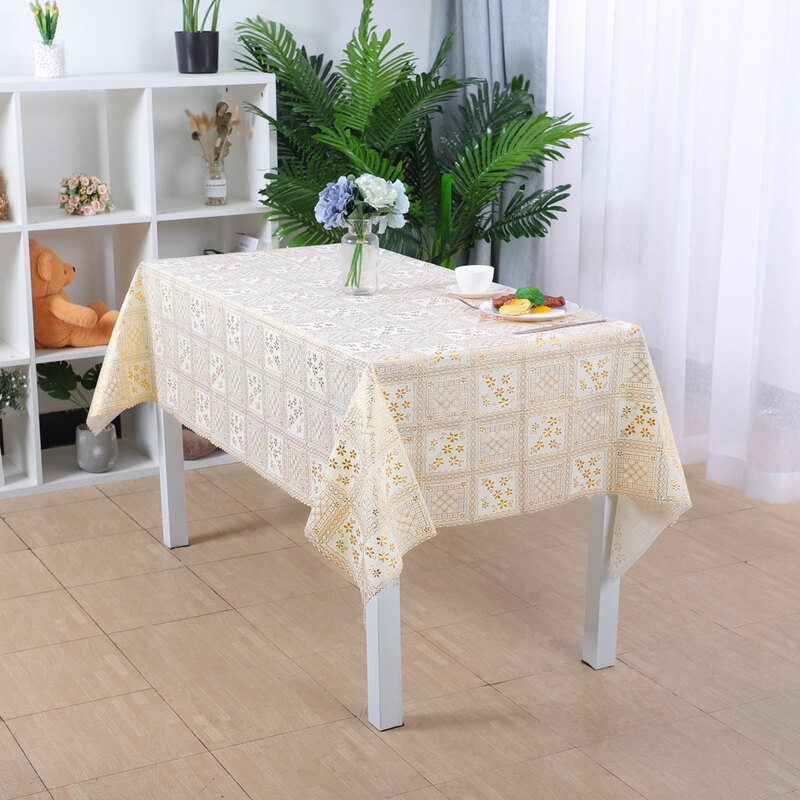 Dust resistant: Our tablecloths can be a dust cover, can cover your furniture, prevent dust fall on the surface of your furniture. 10. Widely use: Suitable for kitchen dining table, TV bench, cabinet, night table, coffee table, outdoor picnic, BBQ, camping, barbecue, banquet, party, wedding, meeting room, hotel and so on. 1.Measure the size of your table before buying this item. 2.Variability of 0-5cm is possible due to the measurement process. 3.If you are not satisfied, we will refund within 30 days, please rest assured to buy. 4.Due to the screen setting difference, the color of the item may be slightly different from the pictures.